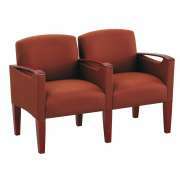 What kind of chairs should you put in a lobby or waiting room? 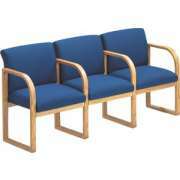 Beam and tandem seating are two good choices if you want to create a comfortable and attractive reception area. 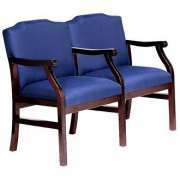 These styles don’t just look and feel great to those who are sitting on them, they are also budget-friendly space-savers that can help you maximize any layout. Hertz Furniture offers cool modern beam seating which guarantees straight rows of individual seats no matter how you set it up. 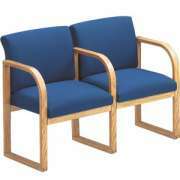 You won’t need to worry about chairs getting moved out of place or disappearing into other rooms. 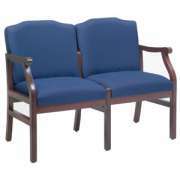 Tandem seating has similar benefits and comes in a huge selection of upholstery colors and sizes. 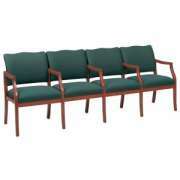 How can I get more seats in a waiting room? 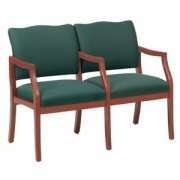 When people come to your office, especially when they are clients or patients, they want to have a nice place to sit while waiting for a meeting or appointment. It can be frustrating to show up somewhere and have no place to sit. 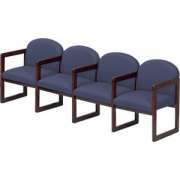 That is why it is important to make sure there is enough seating in your reception area. Beam seating gives you lots of individual seats which take up much less room than separate chairs so you can make sure every person has a comfortable place to sit. 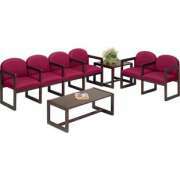 Beam seating is comprised of individual seats mounted onto a sturdy bar base. 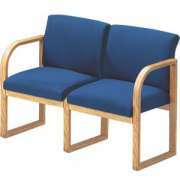 This is an economical option because of the shared base. There are also a lot of practical everyday benefits such as the fact that the seats are automatically arranged in a perfect straight row. With all of the chairs attached, it is much harder for someone to move them out of place by accident or move them into a different room without anyone noticing. 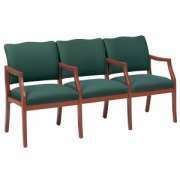 This ensures that the seating is always set up when and how you like it. 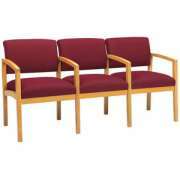 Hertz Furniture’s beam seats have a cool modern design that will fit right into the contemporary work space. Vented backs offer a healthy airflow so every wait is a cool one. 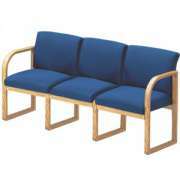 With a choice of fabric, vinyl and plastic seats, you can get the right material for your purposes. Fabric is a comfortable option while low-maintenance vinyl is ideal for medical offices or anywhere that serves children and families. 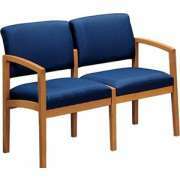 What are the benefits of tandem seating? 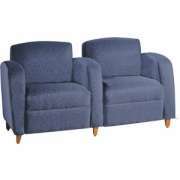 There are many great things about tandem seating if you like the look and feel of sofas and club chairs but want to get more seating into your space, this is a good choice. Classic and modern professional styles will fit into a serious work environment. Seats which are mounted in a row but separated by individual arms feel like individual seats but take up much less space. 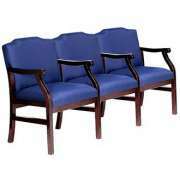 An abundance of fabric choices, multiple frame options and flexibility in seat numbers and sizes provide a custom fit in any space. 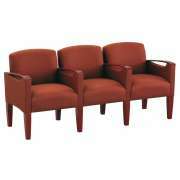 Modular lounge seating has lots of great options. 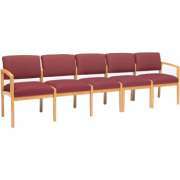 You can choose long rows with individual cushions in which the seats are not separated by arms. 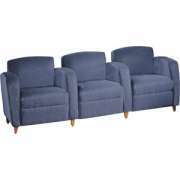 If you want a more luxurious option, long sofas with cushy armrests between each seat feel just like separate club chairs. 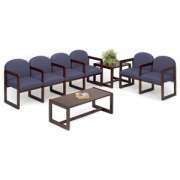 Models with built-in tables between seats offer your guests a convenient place to put down their drinks or reading materials.